IMAX has long been the pinnacle of movie theater experiences. In a move to stay competitive and at the forefront of technology, they have unveiled their first VR "Experience Center" in Los Angeles. 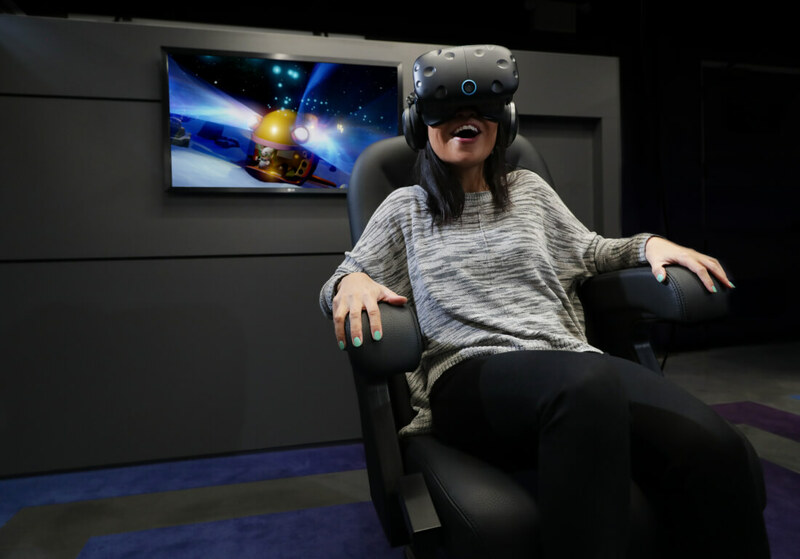 This is the start of what IMAX hopes will be many location-based VR theaters around the country and globe. This shift to small head mounted displays is interesting since IMAX has previously been known for having the largest movie screens. The Los Angeles center will have 14 pods, each with an HTC Vive or Starbreeze StarVR headset, DBox cinema chair, physical controllers, and a wearable vibrating Subpac vest. The media content won't be so much feature length movies, as individual VR "experiences." These $7-10 ticket packages will feature content like the John Wick Chronicles, mountain climbing, flying, and others. IMAX VR has raised $50 million to help produce content. The business model is aimed at consumers who want the occasional VR experience, but don't want to drop hundreds of dollars on their own headset. If the LA center is a success, IMAX has plans to open centers in New York, China, and the UK.